All civil aircraft operating in Australia are required to comply with the Air Navigation (Aircraft Noise) Regulations 2018 and Air Navigation (Aircraft Engine Emissions) Regulations 1995 regardless of size, purpose or ownership. Code of Federal Regulations, Title 14: Aeronautics and Space, Chapter I—Federal Aviation Administration, Department of Transportation, Subchapter C—Aircraft, Part 34—Fuel Venting and exhaust emission requirements for turbine engine powered airplanes, and Part 36—Noise standards: Aircraft type and airworthiness certification. Airservices has been assisting the aviation industry to meet Air Navigation (Aircraft Noise) Regulations 2018 since 1999. From December 2015, under delegation by the Secretary of Department of Infrastructure, Regional Development and Cities (the Department), Airservices will also confirm that aircraft meet the Air Navigation (Aircraft Engine Emissions) Regulations 1995 (Regulation 4) through existing international certification. Airservices can assist aircraft operators in meeting these requirements by identifying which of the sub-regulations, as outlined below, apply to their specific aircraft. 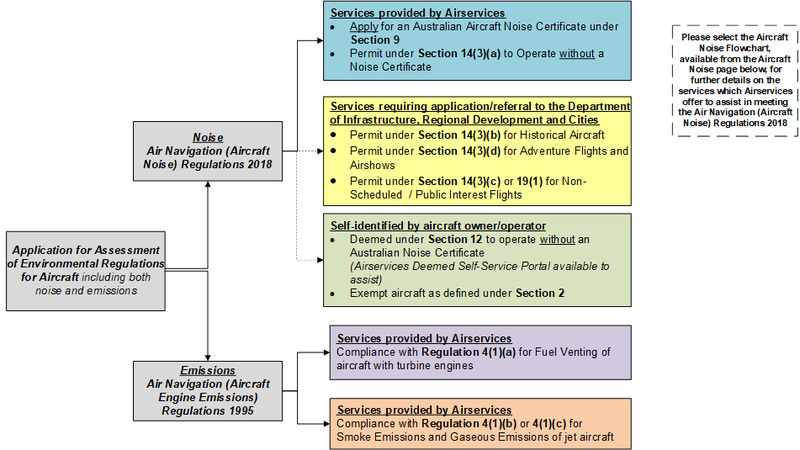 Figure 1: Overview of Airservices assessment of environmental regulations for aircraft. changes ownership or registration of aircraft holding a 14(3)(a) permit. aircraft engine emissions regulations and assessment process. To apply for an Aircraft Environmental Assessment, please complete the Aircraft Environmental Assessment form. All applicants will be required to submit a Type Certificate Data Sheet (TCDS). Depending on the aircraft noise assessment application required, further evidence may be requested. The TCDS and any additional information will be requested by email once your application is submitted. For more information on the assessment process, please see our frequently asked questions. If you cannot find the answer for which you are looking, please contact the Aircraft Noise Assessment team by email.